GLENS FALLS — Leona Teresa (Hale) Curley, 91, of Queensbury, passed away unexpectedly on Wednesday, Feb. 6, 2019, at her home. Born on March 13, 1927, in Plattsburgh, Leona was the daughter of Erwin Hale and Bernadette (LaCroix) Hale. Leona attended Plattsburgh area schools. She was married to John Curley on April 5, 1968, in Glens Falls. Leona enjoyed doing crossword puzzles, art and cooking, but her most enjoyable pastime was spending time with her family. Known affectionately as “MiMi,” she was a strong, loving mother to her three children and devoted, caring wife of 51 years to her husband, John. 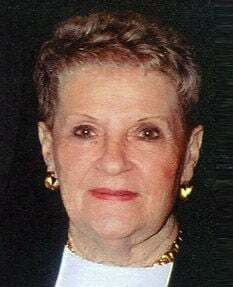 Throughout her life, she mentored many people and helped them through difficult times. Never one to mince words, MiMi spoke her mind with truth and conviction, but always in a loving way. She had amazing intuition and was quick to offer advice and an opinion to anyone willing to receive it. Leona was predeceased by her parents. Those left to cherish her memory are her husband, John Curley, of Glens Falls; her son, Phillip Whittemore and his wife, Susan, of Glens Falls, her son, Raymond Whittemore and his wife, Susan, of New Boston, New Hampshire, and her daughter, Susan Carrigan and her husband, Tom, of Florida; her grandchildren, Todd Whittemore, Gregg Heide, Sherry Ware, Sara Babin, Jennifer Whittemore, Jessica Warmby, Matthew Whittemore, Sarah Matte and Ryan Doyle; nine great-grandchildren; nieces, nephews and cousins, Nancy Raymond of Florida, Susan Havens of Florida and Billy McKeown of New York. Services were private to the family. A private graveside ceremony will take place in the summer at Gerald B. H. Solomon Saratoga National Cemetery. The family wishes to extend a sincere thank you to Dr. Mihindu and his wife for their many years of devoted care. In lieu of flowers, contributions in her loving memory may be made to St. Jude Children’s Research Hospital, 501 St. Jude Place, Memphis, TN 38105.